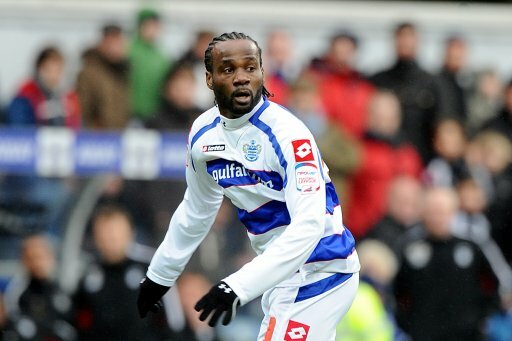 Having apparently missed out on another footballing bad boy in the shape of El Hadji Diouf, Doncaster Rovers boss Dean Saunders has now snapped up former Spurs defender Pascal Chimbonda. The 32-year-old Frenchman, a free agent since leaving QPR in April, was part of Les Bleus’ squad at the 2006 World Cup Finals and has also had spells at Wigan, Sunderland and Blackburn. In 2006 he didn’t exactly enamour himself to the Latics, when, on the final day of the season, he handed in a transfer request after Wigan lost 4–2 to Arsenal in the last ever game at Highbury. The deal is only set to last until January, but with Donny bottom of the Championship, the pressure will be on the former French international to kickstart their miserable season. But will he be up for it on a rainy Tuesday in Barnsley etc? And in the tough, physical second tier of English football, the defender can expect a lot more of these type of challenges. That’s your typical Willie McKay client right there. Money takes precedent over all, sod the CV. Fat Frank is a complete knob for making the tackle, never mind protesting it. Scumbag.